Mr. McGrath is a partner in the Business Trial Practice Group and the Intellectual Property Practice Group in the firm's New York office. He is also Co-Chairperson for the firm’s Electronic Discovery Group. Mr. McGrath litigates commercial, business, intellectual property, construction, and real estate claims. Mr. McGrath also advises clients on transactional matters and negotiates and drafts agreements for a wide variety of clients. 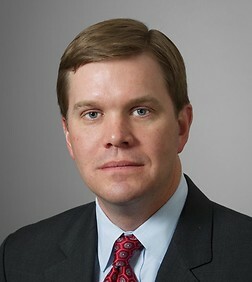 In the commercial and complex business litigation arena, Mr. McGrath has particular experience in the areas of breach of contract, fraud and other business torts, Truth-in-Lending and other consumer claims, putative class actions and collective actions, securities litigation, corporate trust litigation, internal investigations, director and officer liability, bankruptcy litigation, and distribution and regulatory actions. As the result of his substantial experience investigating and litigating cases, Mr. McGrath frequently advises clients on transactional matters in order to attempt to avoid litigation. Mr. McGrath’s experience in intellectual property matters has focused on litigating patent, trademark, false advertising, and unfair competition cases. He also manages IP portfolios and advises clients on advertising claims and substantiation issues. Mr. McGrath counsels clients on transactional matters relating to IP issues and frequently drafts transactional documents for clients. In addition, Mr. McGrath counsels brewers on regulatory and distribution issues. Within the construction arena, Mr. McGrath represents owners, contractors, and construction-material suppliers in various contexts. He negotiates and drafts contracts for commercial and residential projects. Mr. McGrath also litigates, arbitrates, and mediates disputes relating to construction projects, including disputes relating to construction defects, product liability claims, scope-of-work related claims, mechanic’s lien claims, delay and disruption claims, and architect liability. Mr. McGrath has litigated and negotiated a number of disputes relating to real property, including claims relating to tenant actions, landlord liability, covenants in leases, and evictions. Part of a litigation team that won a four-month jury trial for an established Japan-based trading company that was alleged to have violated the antitrust laws. The jury deliberated for just five hours before returning a unanimous verdict. Part of a litigation team that represented JPMorgan Chase in $2.1 billion lawsuit against 11 insurance companies relating to surety bonds on commodities transactions with Enron. A favorable settlement for client was reached during jury deliberations. Won summary judgment in a multi-million dollar case against a borrower. Represented a Fortune 500 company against a purchaser of products. Obtained a favorable settlement before discovery commenced. Won dismissal of tort claims in an enterprise resource procurement dispute on behalf of an international technology company leading to a favorable settlement. Won dismissal of tort claims asserted against a master servicer in case brought by a holder of notes. Won summary judgment on behalf of an indenture trustee in a case involving breach of contract. The trustee recovered a substantial portion of its legal fees in a negotiated settlement. Obtained dismissal of cases asserting numerous contract, statutory, and tort claims relating to mortgages. Obtained dismissal of Truth-in-Lending Act cases on behalf of bank. Represented an auto finance company in a putative class action relating to repossession of vehicles. The action was resolved favorably before responding to the Complaint. Represented one of the defendants in a putative class action alleging misleading disclosures relating to automobile sales contracts. The action was resolved favorably before class certification. Obtained control of millions of dollars in art collateral on behalf of a credit opportunity fund after an evidentiary hearing. Represented a lender in a litigation against a borrower during which the court granted the lender's ex parte application for an order of attachment. Defeated $50 million attachment motion after an evidentiary hearing and won complete pre- answer dismissal on behalf of international shipping company. Represented a brewer in a litigation regarding its termination of a distributor distributors for fraud. A favorable result for the brewer was reached before a hearing on the distributor's motion for a temporary restraining order. Defended a brewer in a litigation resulting from its enactment on a regional consolidation policy. Represented an indenture trustee in a suit by a holder of a subordinate note claiming that the liquidation of a collateralized bond fund was improper. The court granted the trustee's motion to dismiss the tort claims then granted summary judgment in favor of the trustee. The action was subsequently dismissed with prejudice. Represented an indenture trustee in suit by a holder of a subordinate note against indenture trustee. The court granted the indenture trustee's motion to stay the case pending an arbitration between the plaintiff and other defendants, then subsequently granted the indenture trustee's motion to dismiss. Defended an indenture trustee in a suit by a former collateral manager of a fund against its issuers and trustee. After discovery, negotiated settlement which required no monetary payment by the trustee. Represented a fiscal agent in a suit by former holders of a foreign corporation's notes. Successfully opposed motion to amend and won motion to compel production of documents and testimony that a party claimed were privileged. After taking the depositions of the parties and third parties, the case was settled without the fiscal agent disbursing any money. Defended a sports memorabilia manufacturer in a coverage dispute with its insurance carrier. A settlement was reached during court-ordered mediation. Obtained a pre-complaint settlement from the directors of a retail company as special litigation counsel to the Post-Effective Committee of Unsecured Creditors, which increased the creditor recovery ten-fold. Represented the Official Committee of Unsecured Creditors of a satellite company in the investigation of claims against the non-debtor parent company and the debtors' former officers and directors. Represented an ad hoc committee of bondholders in a dispute with the issuer over the payment of a make-whole premium. The matter was resolved favorably for the bondholders before evidentiary hearings commenced. Agrawal v. Reckitt Benckiser LLC (S.D.N.Y. 2016) – Counsel to Reckitt Benckiser in a false advertising case relating Airwick spray. Case was dismissed before discovery. Perrigo Company v. Merial Limited (N.D. Ga. 2015) - Representing Perrigo in a case relating to the breach of a settlement agreement by Merial. Court granted Perrigo summary judgment on liability relating to one section of the contract. Brand New School, LLC v. The Mill Group, Inc. (S.D.N.Y. 2015) – Defended The Mill in a false advertising case relating to the use of commercials for pitches. Case was resolved after depositions of the plaintiff. Merial, Inc. v. Perrigo Company (N.D. Ga. 2015) – Obtained dismissal of breach of contract case for lack of personal jurisdiction over Perrigo and three entities owned by Perrigo. Merial v. FidoPharm (N.D. Ga. 2013) - Represented FidoPharm in false advertising litigation brought by Merial in connection with market-leading FRONTLINE pet care product. Defense of preliminary injunction motion allowed comparative claims to remain in the market. Bayer v. Sergeant's Pet Care (S.D.N.Y. 2013) - Counsel to Sergeant's in false advertising and unfair competition suit brought by Bayer Healthcare involving flea and tick control products. Following expedited discovery and a three day evidentiary hearing, Court ruled for Sergeant's on 7 of the 8 advertising claims targeted by Bayer. Merial LTD v. Cipla Limited (Fed. Cir. 2011; M.D. Ga. 2011) – Part of team that represented Cipla, largest Indian pharma, in trial and appellate courts regarding dispute involving patent infringement and contempt issues concerning veterinary products containing fipronil and methoprene; assumed case on appeal and for post-contempt remedies issues. Bayer Healthcare LLC v. Cipla Limited, et al. (S.D.N.Y. 2011) – Counsel for Cipla in trademark and unfair competition dispute involving veterinary products containing imidacloprid and permethrin. CIF Licensing v. Lenovo Group (S.D.N.Y. 2011) – Represented Lenovo in patent infringement suit involving MPEG-2 digital video compression and transmission standards. Rexall Sundown Inc. v. Perrigo (E.D.N.Y. 2010) – Part of trial team that represented Perrigo, a manufacturer of OTC pharmaceutical and nutritional products, in a four week false advertising jury trial involving glucosamine chondroitin dietary supplements. Jury verdict in Perrigo's favor on all claims asserted by Rexall, and awarding monetary damages against Rexall on Perrigo's counterclaims. NetRatings, Inc. v. TACODA Inc. (S.D.N.Y. 2009) – Defended leading on-line behavioral targeting advertising network against patent infringement claims. Case dismissed before Markman briefing. Illinois Tool Works v. Pactiv (S.D. Ind. 2007) Defended manufacturer of packaging machinery against patent infringement claims. A global settlement was negotiated after Markman briefing and argument. NFL Properties LLC v. AllAuthentic Corp. (S.D.N.Y. 2006) Defended a sports memorabilia manufacturer in trade dress infringement suit. Settlement was entered upon conclusion of discovery and hearing on cross-motions for summary judgment. Dixie NYC Inc. v. Leisure Holdings (S.D.N.Y. 2006) Defended a national restaurant operator against trademark infringement claims made by a former partner. Settlement following denial of plaintiff's TRO motion and expedited discovery from plaintiff. Tekni-Plex Inc. v. Tenneco Inc., et al. (W.D.N.Y. 2004) Defended a polystyrene foam sheet manufacturer in patent infringement suit. Following Markman ruling construing claims in client's favor, summary judgment entered dismissing plaintiff's claims in their entirety. Sun Chlorella USA Corp. v. Swanson Health Prods., Inc. (S.D.N.Y. 2003) Represented plaintiff in trademark infringement, unfair competition and false advertising action against former U.S. distributor. Following motion for preliminary injunction, defendant changed name, packaging trade dress and advertising claims. Honeywell Int'l Inc. v. ABB Inc. (Fed. Cir. 2003) Obtained an emergency stay from the Federal Circuit followed by a judgment vacating preliminary injunction entered against defendant in patent infringement suit involving the design of a turbocharger. Star Industries v. Bacardi & Co., Ltd. (S.D.N.Y. 2003) Successful defense of a trademark infringement suit which resulted in a judgment for defendants at bench trial. Advised a large software developer in a dispute with a customer over unauthorized use. A settlement was reached before a complaint was filed. Representing a supplier of construction materials in a litigation regarding purported construction design and defect claims. Represented the owner in an arbitration with the general contractor regarding the terms of the contract, change order disputes, mechanic’s liens, and termination issues. The matter was resolved after the hearings. Negotiated a resolution to a dispute between an owner and architect regarding termination and fee-related issues. The owner was able to settle the matter quickly and favorably without the need to commence litigation. Represented a not-for-profit tenant in a litigation with its landlord regarding termination of the lease and holdover claims. Obtained a settlement that provided time for the tenant to relocate its subtenants. Represented the general partner in a real estate fund in response to inquiries and demands from a limited partner, including allegations relating to delayed construction projects. Negotiated a resolution that permitted both parties to avoid litigation. Obtained a court order that allowed a trustee to disburse funds to an owner to allow for payment to contractors in connection with a gaming project. Successfully negotiated a resolution of a litigation between owner and a security provider in a dispute regarding the scope of services and purported fees owed. "Search Functions and Marketing: Be Careful Where You Click," SES Magazine, May 2009. "E-Contacts and New York's Long-Arm Statute," New York Law Journal, April 7, 2008. "Think Remote, Electronic Contacts Will Keep Jurisdiction Away?," New York Law Journal, June 18, 2007.